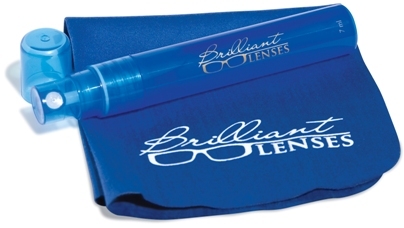 Brilliant Lenses Eyeglass Cleaner is a premium eyeglass cleaner with SR-8 that adds a protective barrier to lenses. This barrier helps glasses to resist scratches and soiling from water, sweat, dust and dirt. (If you're curious, SR-8 is a Polimer Additive that reduces surface tension making cleaning easier each time it is used. It coats the lens leaving a protective barrier, improves scratch resistance and will not dry out protective coatings.) The solution also is both alcohol and ammonia free. It's good to use on ALL types of lenses, cell phones, computer monitors and mp3 player screens. The cleaner also comes with its own and optical microfiber cloth and carrying bag. In any case, Brillant Lenses removed most of the spots on his glasses, and he is now seeing the world more clearly. I also love how the solution creates a barrier to make the lenses more scratch and dirt resistant. Chana is constantly grabbing the glasses of of his face and getting her finger prints all over them. I'm terrified that one of these days she'll actually get them out of his hands and drop them on the floor (or worse). At least I know that if the lenses don't break hopefully they won't get scratched up either. The microfiber cloth is a fantastic addition to the package, and having the carrying case to keep everything together is perfect. Overall: We give Brillant Lenses Eyeglass Cleaner a 10/10! One very lucky reader will win a Brilliant Lenses Double Pack with microfiber cloth and carrying case! You must either become a fan of Brilliant Lenses on Facebook or follow @BrilliantLenses on Twitter. If you choose to become a fan on Facebook, be sure to let them know that The Twinners sent you! Then, comment here and tell me which one you did (along with your Facebook/Twitter screenname). 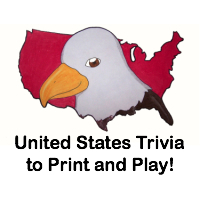 This giveaway will close on November 29, 2010 at midnight. I am a fan of Brilliant Lenses on Facebook and told them the Twinners sent me! I follow @BrilliantLenses on Twitter. I follow @TheTwinners on Twitter. I'm a fan of Brilliant Lenses on Facebook and told them The Twinners sent me. I'm following publicly via Google Friend Connect (Dana). I'm following @BrilliantLenses on Twitter. I'm following @TheTwinners on Twitter. I'm following Elana's Musings via Google Friend Connect (Dana). I entered the Aurora giveaway. I entered the Marie and Her Friend the Sea Turtle giveaway. Twitter follower- cindyluwho55. cindyhinckley at msn.